It’s hard to read the stories about members of the USA Gymnastics Team being harassed and abused by the team’s doctor. And it’s easy to worry about such dangers. 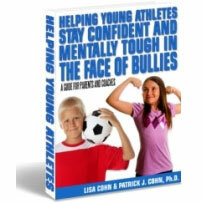 Kids who are bullied, abused or harassed as sports kids can suffer throughout their lives. In the least, they’ll have a hard time concentrating on their sport, and their confidence will suffer. 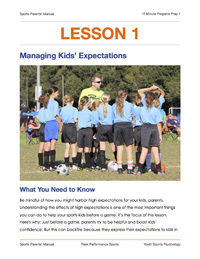 Parents can help their sports kids avoid such problems, says Chris Trieste, a veteran educator with extensive experience in coaching, teaching, and educational leadership. He has served as a teacher, athletic director and administrator. First of all, be sure coaches and others involved with kids undergo background checks, he says. 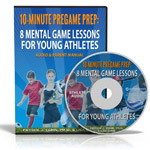 Second, train sports kids about what’s appropriate and not appropriate from coaches and other adults—and tell them how to take action. Third, parents need to be on the lookout for coaches and other adults who abuse, harass or bully kids. They should not avoid talking to such coaches out of fear that their kids will lose playing time or hurt their sports careers, he says. What’s most important is that sports kids are safe. And if your kid’s team is the only team in town, you still need to speak up. You might offer to start a new team and coach it. “Parents see that their child’s entire career could be disrupted if they speak up,” he says. But that’s a bad reason to be silent. Consider the long-term consequences of letting kids be bullied, harassed or abused. “There have to be checks and balances. It can’t be a dictatorship,” Trieste says. After talking to a coach, parents may need to talk to the school or league administrators about any concerns they might have.